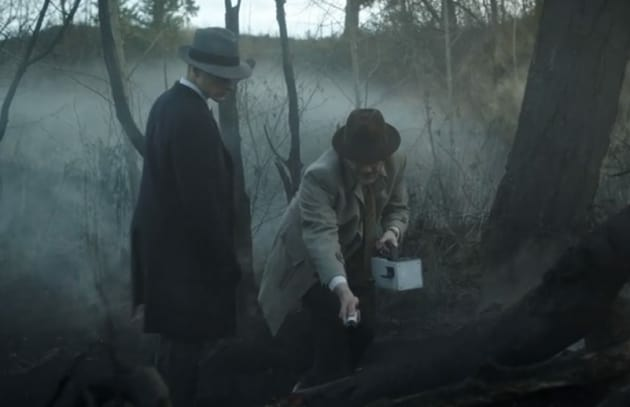 Could the second episode of the monumentally misleading Project Blue Book on the "History" Channel possibly be as bad as the first? As has been said before, "Second Verse, Same as the First!" Dr. Hynek and Mr. Malarkey find radiation while investigating the Flatwoods Monster. Dr. Hynek did not travel to West Virginia to investigate this incident. In fact, Project Blue Book did not perform its own investigation of the Flatwoods case, but only collected a few press clippings. Witnesses' eyes were not "burned," and there were no physical symptoms in anyone. Debris from an alleged 'spacecraft' were not found in the woods. Nothing was found, and no object was "removed.". The ground was not radioactive. The whole town did not show up and threaten to lynch the principal UFO witness, or to at least to tar-and-feather her. There was no witness in a psychiatric hospital, and nobody killed themselves over this. The woman whose role some have termed a 'lesbian angle' with Mimi Hynek turns out to be a Russian spy, spying on Blue Book. When the boy is supposedly looking at Mars in a small telescope, they set up the telescope backwards. It is pointing at the ground, not the sky, but nobody seems to notice this. Skeptic Russ Dobler also has some interesting commentary on the second episode in his Blog entry on Adventures in Poor Taste. reported (left), and what they actually saw (right). If you want a credible account of the "Flatwoods Monster" incident, it isn't hard to find. Joe Nickell, CSI(COP)'s sole full-time researcher for lo these many years, wrote up the results of his investigation in the Skeptical Inquirer, December, 2000. The reported UFO was obviously a meteor, noting that "the fireball had been seen on a relatively horizontal trajectory in various states." So, like the Kecksburg "UFO crash" in 1965, the Flatwoods "UFO" was not just a local sighting, but actually a distant object high above the earth, seen across a very wide area. 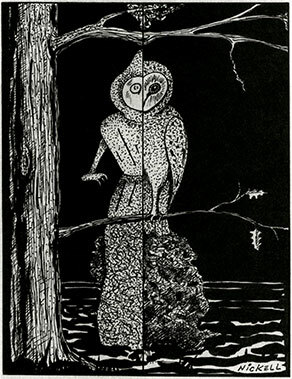 As for the "monster," Nickell agrees that it was probably a large owl sitting on a tree branch, and he sketched an illustration suggesting what they actually saw. The History series predictably sensationalizes and overdramatizes case investigations and the historical figures involved, adding many story elements that simply never happened. It’s already hard enough for those trying to understand the truth about government involvement with U.F.O.s without mixing fact and fiction. Nonetheless, melodrama aside, the real story is there. Q: Did Hynek ever crash in a plane while recreating a UFO dogfight that had been reported by a pilot? A: That's a big NO! Q: Did Hynek ever see what looked like an alien body floating in a tank in a secret facility, and take photos of it? A: That's an even bigger NO! Seriously, I never expected Leslie Kean to be as credulous and foolish as this, and so ignorant of UFO history. She seriously thought that these things might be true? It looks like I have overestimated her. 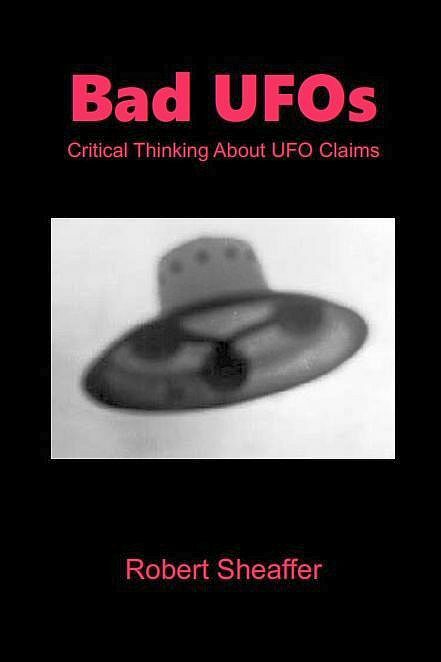 (My review of her popular UFO book is here.) O'Connell says, "[Kean] has as big a problem with this show as I do, and she's going to say so in the New York Times! Halleluja!!" (emphasis in original). Unfortunately, the mild statement I quoted above seems to be as far as Kean's "big problem"with the show extends. Indeed, Kean says that "‘Project Blue Book’ Is Based on a True U.F.O. Story.". Well, loosely-based. Very loosely. She seems happy to accept any crazy thing that will promote public belief in UFOs. Serious man? Because she wanted to confirm those facts does not mean she actually believed they might be true. Ive been studying this field almost 30 years, particularly its history, and while I didnt believe those aspects of the show were real, I still looked it up to be sure (well the plane crash anyway). And if I was writing an article for the New York Times, I would be damn sure I double checked to make sure I was right about that. Its called doing your due diligence and basing articles on confirmed facts instead of just making stuff up about people. Obviously the alien tank thing was bogus. But I had never heard of a crash, didnt think there was one, but still double checked. You making alot of grossly absurd assumptions about Keans' credulity by giving her grief over double checking the facts before publishing a story. In fact, your entire last paragraph should just be deleted because its total nonsense. She literally says the exact opposite in no uncertain terms and yet you still proclaim she doesnt mind mixing fiction with fact if it gets UFOs publicity. Lets stick to the facts, instead of making up claims about people that are patently false. I found both episodes "entertaining" meaning that I'm fascinated with the lengths that History would go to distort/torture facts. But as they say, "The show must go on!" With the above said, funny that "ufologist" are outraged with the series, yet their collective outrage was missing with the Roswell Slides hoax. Carnival barkers giveth and equally taketh. Look, Ma! I'm on Ancient Aliens!